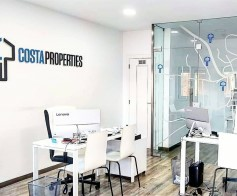 Costa Properties is a licensed real estate company (Luís Miguel Barata Costa AMI 12007), settled in Lagos. Created not only to provide you the best properties in Lagos and the most exclusive properties on the West Coast of the Algarve, but also to make known how amazing this natural paradise by the sea is. Amazing farm with 3,45 ha in the municipality of Lagoa. Possibility of investment both for agriculture, winemaking or breeding. This property has water hole, automatic doors at the entrance and garage, excellent sun exposure, overlooking the arade River, Silves and Monchique mountains. Land with 5080 sqm, with ruin of 60 sqm, with magnification up to 101.6 sqm. This land has water hole and is easily accessible. Situated in Barão de São Miguel, about 20 minutes from Vila do Bispo and the beautiful beaches of the Costa Vicentina, where you can enjoy the most beautiful sunsets. 3 bedroom apartment with high potential to monetize, inserted in a Luxury Resort, built under the highest standards of quality and tasteful décor. Offers access to various facilities for both owners and the guests. A few minutes from the magnificent beach of Porto de Mós known for its long beach, its caves are revealed at low tide and the flora that involves the surrounding escarpment. 3 bedroom apartment with balconies and a rooftop terrace with panoramic views. Excellent sun exposure, sun all day and all year round. Centrally located just 2 minutes from the main beaches and the historic centre. Sea and river views. 3+1 bedroom Villa, south-facing balconies and terrace on top with panoramic views over the Bay. Situated in residential area 10 minutes walking distance from the town centre where you can find the most varied services and the beautiful and famous Beach of Praia da Luz. Land with 4260 sqm inserted within the urban perimeter, ideal for investment. This land has the potential to set up development and resale or development and construction of villas for sale. 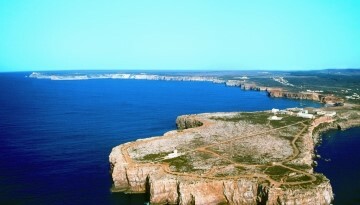 Located centrally in the village of Sagres, within walking distance from the beaches and all kind of services. A paradise in the middle of the Natural Park of Costa Vicentina. A place to explore. 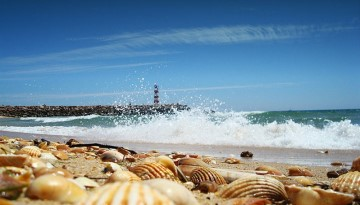 The Algarve is the beach destination par excellence in Portugal. There are many more places to visit in the Algarve besides the beaches, but if you are looking for sun and sea quality, this is the ideal destination. 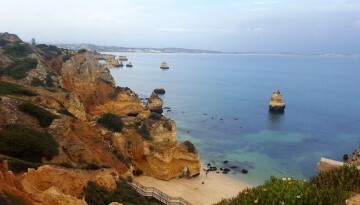 More and more foreigners are visiting the Algarve and they end up buying a house in the region and transforming this tourist destination into their second home or, in many cases, the first. Discover the 10 most beautiful beaches in the Algarve.